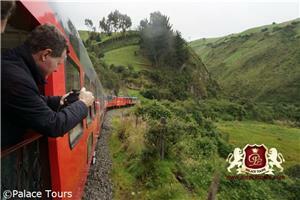 Travel from Quito to Guayaquil on board the The Tren Crucero in South America on this 5 day 4 night journey. 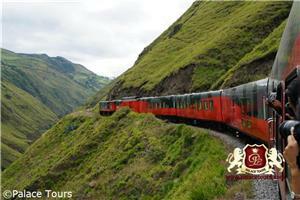 Take a luxury train experience in Ecuador from Quito to Guayaquil. 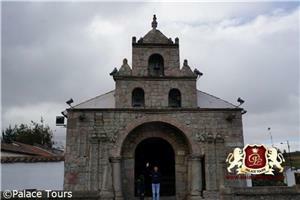 This journey starts in Quito, in the Northern Andes, from where you will travel towards Otavalo. Marvel at the snowcapped Cayambe volcano, the highest peak located directly on the equator. Here the landscape changes constantly, from fertile green valley to yellow dry forest, as you continue to Otavalo and its textile market. 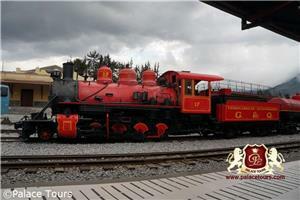 In Otavalo, a restored steam engine will await you at the train station. 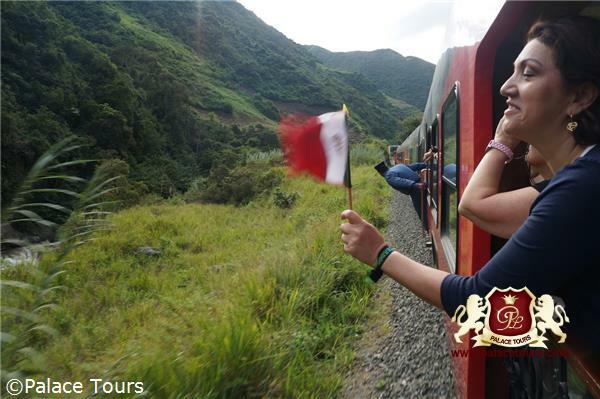 While onboard the train, encounter many wonders at each stop: skilled Quiteña woodcarvers, rich Ecuadorian Gastronomy, and local traditions of weavers, musicians and healers. 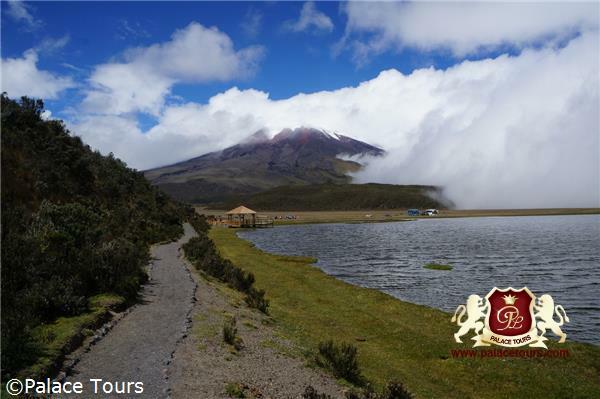 Then as you descend 3,600 meters from the heights of the Andes to the shore of the Pacific Ocean, you will travel along the famous “Avenue of Volcanoes”. This fertile valley, trapped between the natural walls built by volcanoes, is home to a veritable treasure trove of biodiversity. 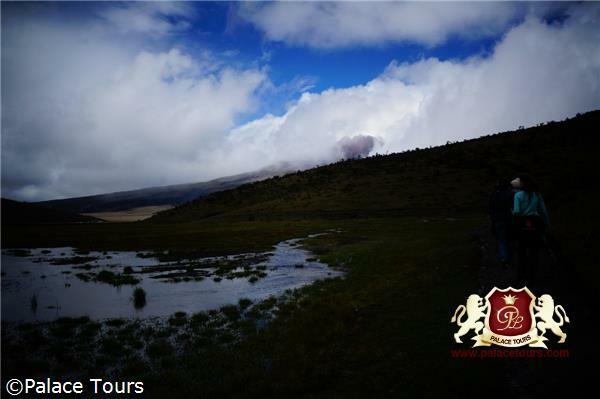 Pristine landscapes, endemic species of wildlife and flora, indigenous cultures, as well as archaeological and historical remains are scattered everywhere in this area, guarded by magnificent volcanoes. You may stop for a nature walk near El Boliche, where the Cotopaxi Volcano looms in the distance. The train will then slowly climb across purple-tinged quinoa fields towards Urbina station, the highest point on this route. Here, protected by the majestic and powerful Chimborazo volcano, you may have a chance to meet Baltazar Ushca, the last “ice merchant” and guardian of this ancient trade. 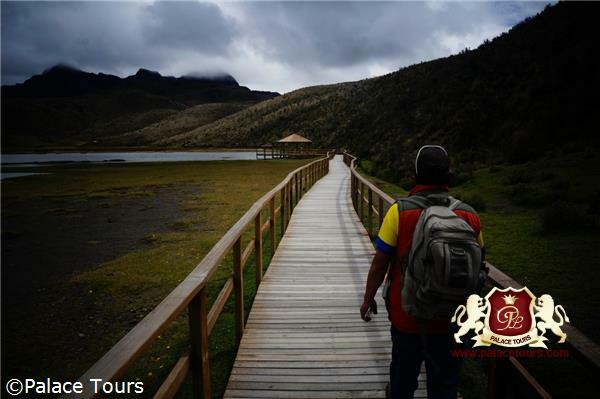 As you continue south, you will pass through Guamote and possibly visit the indigenous market, before continuing on to the mythical “Nariz del Diablo” pass. This is a vertiginous descent of 450 meters that signals the transition from the Andes to the tropical lowlands. Here the landscape changes as you leave the narrow gorge of the Chan Chan River and its cloud forest and ride into the wide tropical plains. You will pass rice, banana, cocoa, pineapple, and sugar cane plantations as the steam engine whistles its way towards the Pacific Coast and the end of your trip. 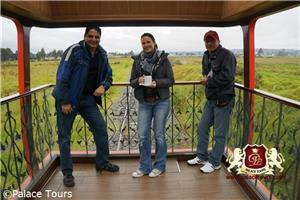 The meeting point of the tour is at Chimbacalle Station in Quito. 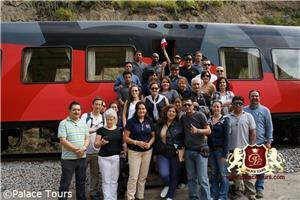 Report at 7:00 AM at Sincholagua s/n y Maldonado Chimbacalle train station– Quito to start your Tren Crucero Tour. Our first meeting will be at the Chimbacalle station, south of Quito, a historic station that will open its doors to us with the country's railway history. On our train, we will cross the impressive "Avenue of the Volcanoes"; the term that Alexander von Humboldt gave to this part of the Andean ridge, where there are more than 20 volcanoes, few of them still active. We will arrive at the second highest station of the Ecuadorian railway system and disembark to begin our journey through a farm of Roses, there, we will learn why Ecuador gathers all the right characteristics to produce some of the best roses in the world. 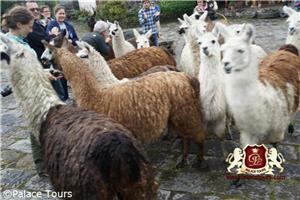 After lunch we will go up to the Cotopaxi National Park. Within the park we can pay a moderate altitude walk at 12,631 feet around the Limpiopungo lagoon where different varieties of plants and birds adapted to this altitude environment. Natural photography will be part of this afternoon before arriving at the hotel for rest. The departure by train in the morning will be from Latacunga Station. 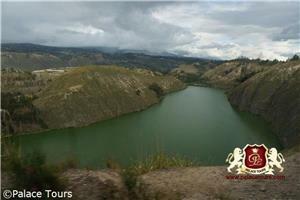 We will cross the inter-Andean valley and then the Yambo lagoon will open before our eyes by a scenic cliff. During the journey we will be approached by colorful devils, part of a long Andean tradition known as the Diablada Pillareña (devils from Pillaro), declared national heritage. We will celebrate with this folkloric demonstration and from the comfort of our train. 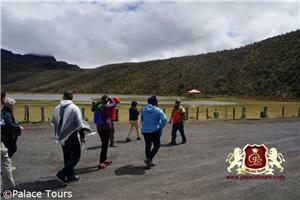 We will arrive to Urbina station, the highest point of our visit, located at 3609 meters above sea level (11 000 feet). 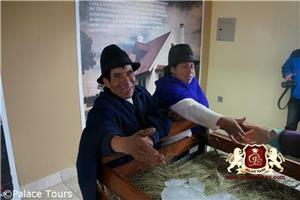 There we will be received by Baltazar Ushca, the last ice merchant of the Chimborazo who will share the secrets of his old and almost extinct tradition. Early in the morning we will head to the historic Riobamba station, where a huge steam locomotive known as "The Black Monster" will be waiting to take us through colorful quinoa fields, picturesque villages and unique landscapes. 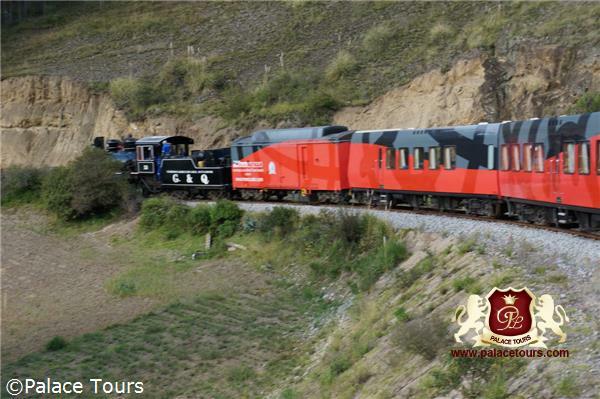 Upon our arrival to Colta, we will carry out a maneuver that will switch the steam locomotive for a diesel-electric machine, meanwhile we can visit the first church in Ecuador known as the Balvanera or you can film the train with the steam locomotive before we leave it behind from the outside of the maneuver area. 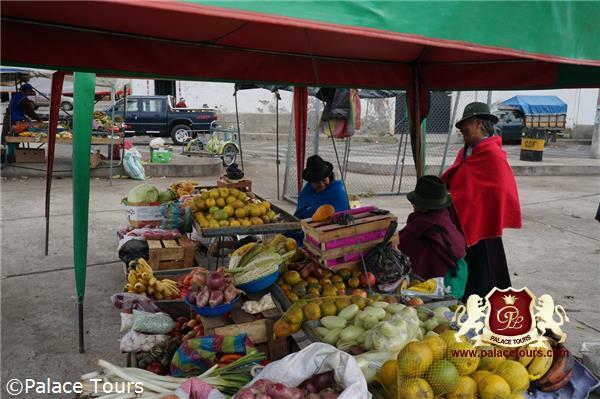 Once in Guamote, we will visit an authentic Andean market, where people from several communities come together to trade a myriad of products. 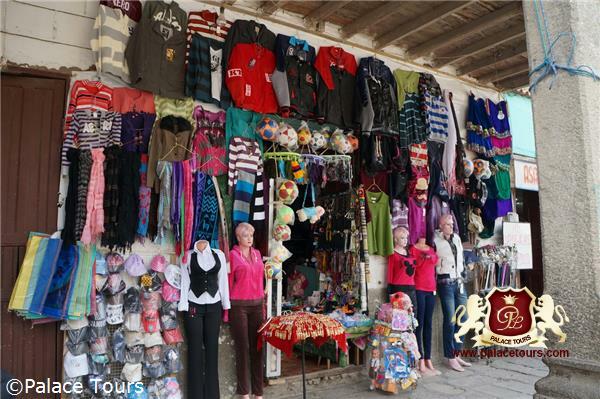 This market has maintained its traditional essence and with luck we will be able to observe how the barter works among the merchants that meet there coming from many other indigenous communities from the country. A short trip by bus will take us to Alausí, where the patrimonial consist(set) awaits the group; that one will transport us to the mythical Nariz del Diablo (the Devi´ls Nose). An impressive system of swicht-backs on a steep mountain that allow the locomotive to descend into the Sibambe valley; during its construction, was considered one of the most important engineering milestones in the country. Our patrimonial set will return to Alausí, the city of the Five Heritage and we can rest tonight in this small city nestled in between sharp mountains and diverse plantations. Walking at night through its streets will give us a feeling of returning several decades in time. Return to the Hotel for the night. 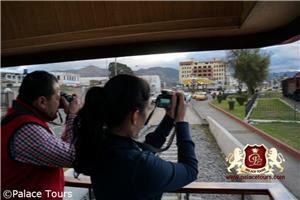 We will take our bus with the first sun rays and that one will take us on a scenic trip from the imposing Andes to the quiet esplanades of the Pacific coast. During this trip we can witness the dramatic climatic and geographical changes that mark the transition between coast and mountains. 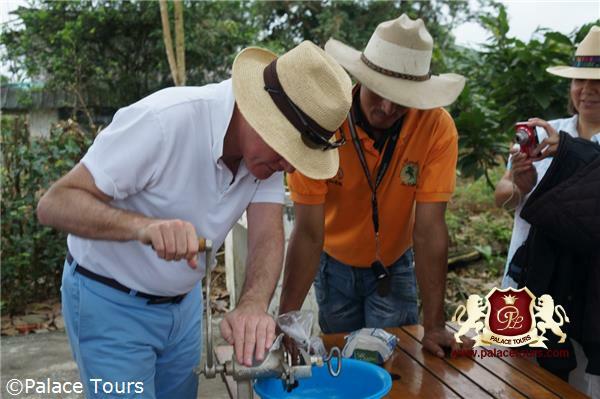 We will arrive at a very traditional and tasteful hacienda in the Coast of Ecuador; we will take a tour inside one of the plantations and learn about the sowing and harvesting of Ecuadorian cacao, which is considered the best cocoa bean in the world. Our lunch will be served at the hacienda and we will enjoy the gastronomy of local cuisine. 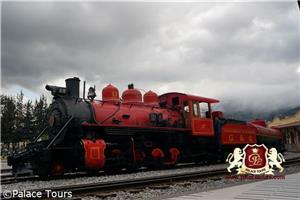 Our next destination will be Naranjito where we will board the train to Yaguachi, the first station built for the Ecuadorian railway system. There, a Baldwin steam locomotive awaits us to lead the train to its final destination on this trip, a journey full of wonderful landscapes and cultural experiences. Arrival to Duran before sunset. Return to the hotel for the night. Check out of your hotel after breakfast. You can also choose a trip to the Galapagos Islands with us where you can enjoy a cruise or an island hopping tour - We got the best deals and experts that will make it happen for you. Need more services? Contact us and we will be happy to assist with more extensions. Transportation to and from, and participation in, off-train excursions as described in the tour itinerary as well as the services of bilingual (Spanish and English) guides. Airfare (Domestic or international); visa fees; travel insurance fees; alcoholic beverages; gratuities; additional toiletries; laundry service fees; any items of a personal nature, such as souvenirs; any items not specifically described in the tour itinerary. Unless specifically mentioned, any pre- or post-tour accommodations, transfers to and from hotels at the beginning and end of the tour, or tour extensions are not included in the price of your journey. Special Promotions (Online Coupons) cannot be combined with free hotel offer. Guests have choice of choosing any one promotion. 35% of total tour cost is due at the time of booking, with the remaining balance of 65% due no later than 65 days prior to the tour's departure date. If a guest needs to change their tour date, an administrative fee will be charged at the discretion of Palace Tours. Children between the ages of two and up to 12 years of age at time of travel are priced at 75% of the adult cost. Cancellations up to 95 days prior to departure, no cancelation fees apply. Cancellations between 89 to 61 days’ prior departure, a 35% deposit is held as cancellation fee. Cancellations between 60 to 50 days’ prior departure, a 50% deposit is held as cancellation fee. 49 days or less or no show the day of departure, 100% cancellation fee applies. We strongly recommend purchasing travel insurance to cover the losses incurred in case of cancellation. For information on available plans please visit palacetours.com/insurance. Please note that as of February 2018, all guests travelling to Ecuador are obligated to provide proof of health insurance when passing through immigration in order to gain entry into the country of Ecuador. 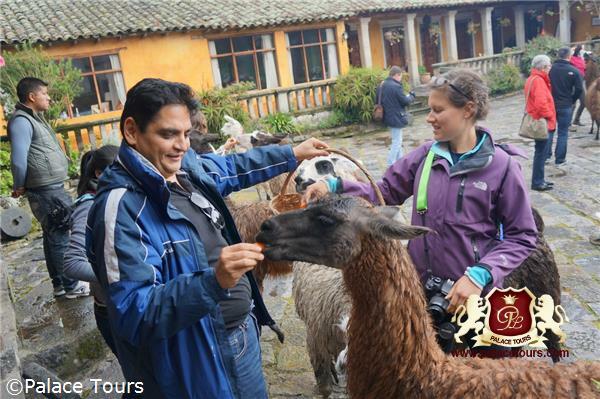 Guests must be able to show valid proof of international travel insurance, whether public or private, for the duration of their stay in Ecuador. For further information contact the consulate office at destination. For any other questions or concerns, please contact Palace Tours. Tren Crucero has the capacity for 50 passengers to travel in luxury from the peaks of the Andes through the tropical lowlands of Ecuador. 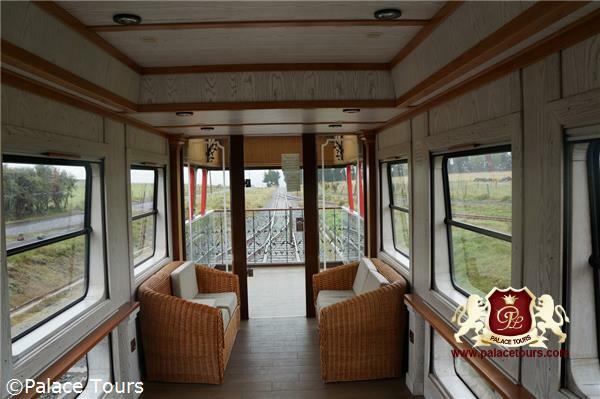 The train comes equipped with a bar, lounge areas, four bathrooms, and an observation car at the rear of the train so passengers can fully appreciate the magnificent views visible only by rail. Seats for passengers are pre-assigned. Every day, the train will serve one morning and one afternoon snack inspired by local cuisine. Non-alcoholic beverages, such as hot or iced coffee, fruit juices, iced tea, Coca-Cola, Diet Coke, Coke Zero, water, mineral water, infusions, and more, are available free of charge and without limitation on board. Food or drink not supplied by the train is not allowed on board. Alcoholic beverages are available on board the train for an additional fee. Guests can open a tab at any point during the journey and can settle it on the final day of the excursion. 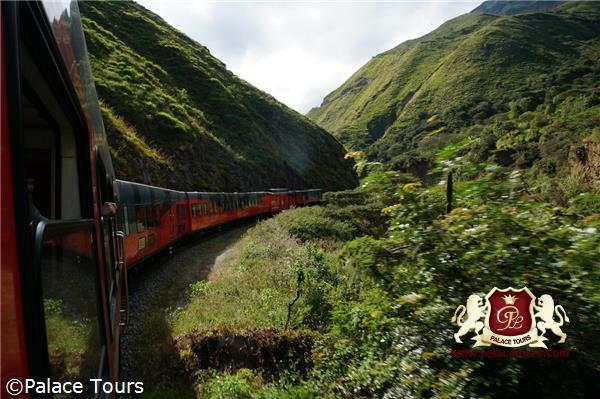 Tren Crucero accepts U.S. dollars, euros, and major credit cards, but NOT traveler's checks. 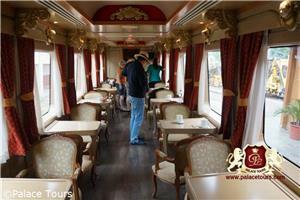 The train includes a boutique where guests can purchase souvenirs. 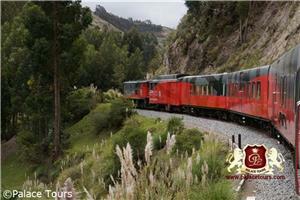 Tren Crucero is not equipped with internet connectivity or Wi-Fi. Guests spend each night in a hacienda/hotel. All haciendas/hotels can comfortably accommodate 50 passengers. Rooms, which range from approximately 20 to 40 square meters, are available in single, double, triple, or twin sizes. Each room has its own private bathroom that includes a shower, but often not a tub. Interconnecting rooms are available only at Cienega Hacienda (Day one of the Quito-Guayaquill itinerary or day three of the Guayaquill-Quito itinerary). Depending on the day, lunch is served between 12:00 p.m. and 2:00 p.m. and dinner is served from 7:00 p.m. and no later than 8:00 p.m. We supply two to three options for dinner, which can be served to each guest. Both Ecuadorian cuisine and international cuisine are available for both meals, and the menu is designed to avoid repetitive meals. Guests can be accommodated separately upon request. 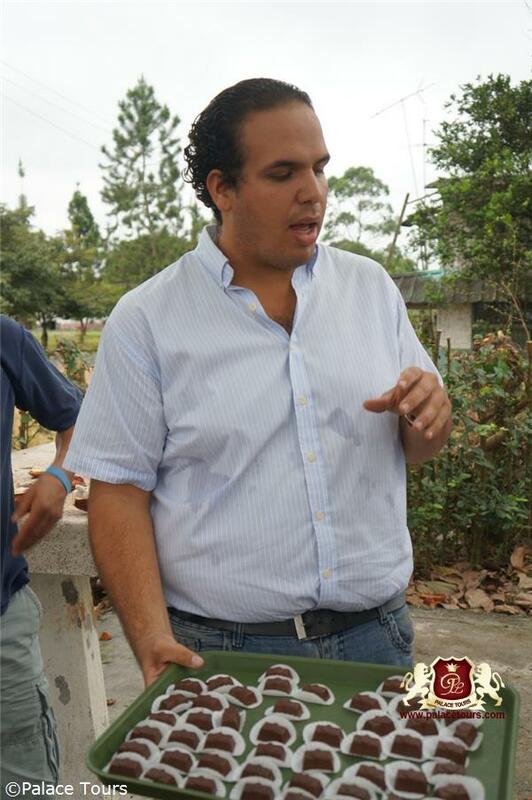 Alcoholic beverages are available at haciendas/hotels for an additional fee, charged by the bottle or glass. Wi-fi internet is available at haciendas/hotels. We recommend guests use their own devices to connect to the internet. Doctors are available at haciendas/hotels upon request or emergency. Modern busses transport guests to and from haciendas/hotels. 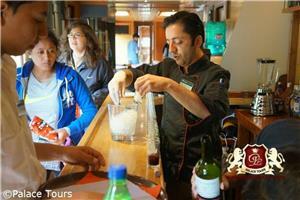 Tren Crucero features a professional staff fluent in both Spanish and English. 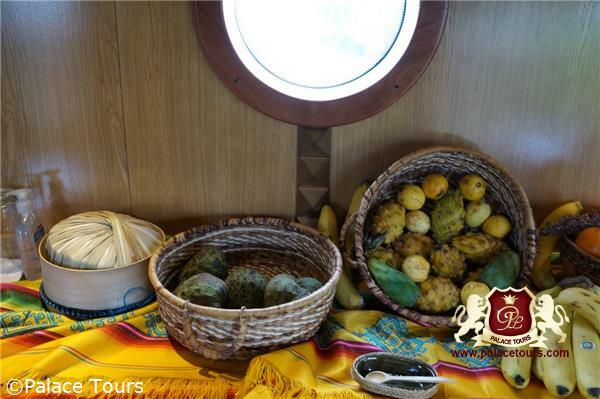 The crew includes one expedition leader, one bartender, two waitresses, one operational manager, three operational assistants, and one guide for every fifteen guests. Staff fluent in German, Italian, Portuguese, Japanese, or Russian are available for an extra fee and with advance notice. Please indicate your preference at the time of booking. 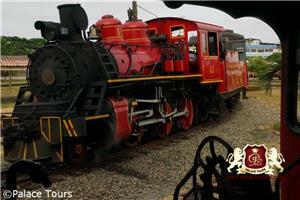 Ecuador uses 110 V electrical current, and he train is equipped with several 110 V electrical outlets. Guests whose devices do not run on 110 V current must supply their own international adapters. Visas may be required. Please check with the the nearest/local Ecuadorian embassy/consulate. 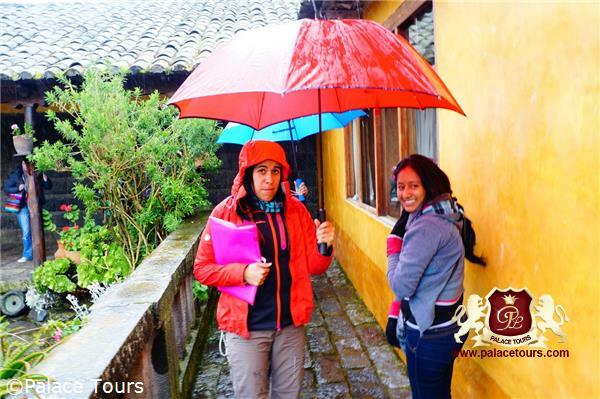 Palace tours doesn't assist guests providing visa or consultancy. 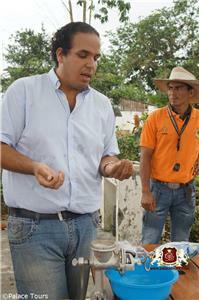 Ecuador do not require yellow fever vaccine. Ecuador has no current malaria or yellow fever alert on any location. Palace Tours strongly recommends the purchase of adequate travel insurance in your country of origin prior to arrival on Tren Crucero to cover injury, illness, death, loss of luggage or effects, or cancellation (For more information on the latter, refer to the Cancellation Policy in our Booking Terms and Conditions). Palace Tours strongly recommends you consult your physician for any personal health advice based on your travel itinerary. Palace Tours DOES NOT give medical advise or supply or recommend any kind of medicine or drug on board the train due to allergies and train rules. Two complete medical kits are available on board the train at all times. The crew has first aid training, including basic CPR training, but they are not certified. They can, however, provide medical assistance while traveling. Transfers to the train station from hotels in your city of embarkation are not included in your journey price, but we are happy to arrange them for you for an additional fee. 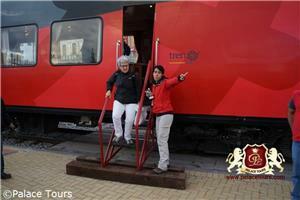 Train guides are always available and will accompany guests on any off-train excursions. 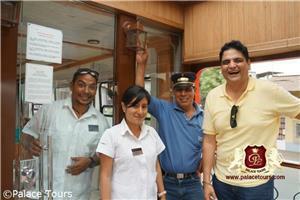 Additionally, in certain locations, native guides are employed in conjunction with the train guides. 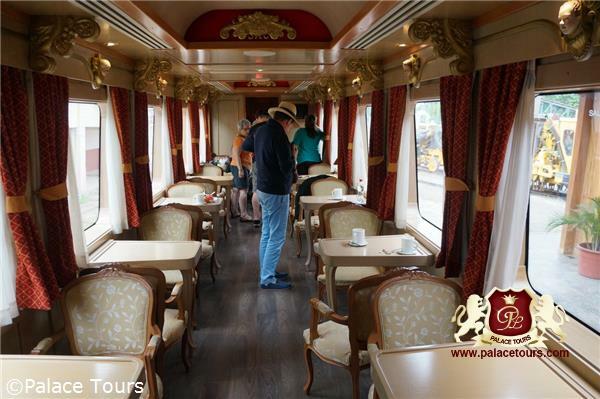 Guests may choose to stay on board the train during excursions, but they may be interrupted by cleaning staff and the crew may be unavailable at these times. 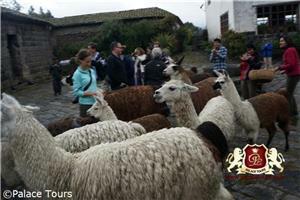 Guests may choose to leave excursions and go to the hacienda/hotel early. In these cases, they will be escorted by the expedition leader. On shorter trips, check-in occurs 45 minutes prior to the train's arrival time. In the event a guest must be medically transported from an off-train excursion, they will immediately be escorted by the expedition leader to a nearby hospital or medical facility. All activities listed on the itinerary are approximate and subject to change based on extreme weather or other "on-the-ground" conditions. Stations where Tren Crucero will stop are centrally located within their respective city and are easy to access. Delays at stations are extremely uncommon and usually do not last longer than 20 minutes but that may change due to conditions on the ground. These delays may be caused by landslides or extreme weather conditions in the Andes Mountain or along the Pacific Coast during the wet season, which impede the operation of the train. Tren Crucero takes you from the peaks of the Andeans to the subtropical lowlands of Ecuador, where you will experience a variety of different weather conditions. 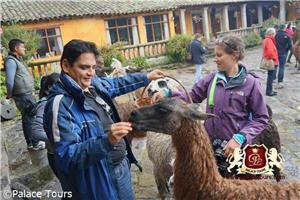 Ecuador experiences two major seasons: A dry season from October to March and a wet season from April to September. During the wet season, humidity is higher, and we recommend bringing a raincoat. 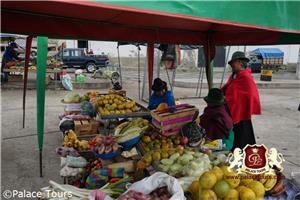 Temperatures remain relatively consistent throughout the year in Ecuador across her various climate zones. In the highlands, temperatures can range from 5° C/40° F to 25° C/80° F. In the coastal lowlands, temperatures can range from 20° C/70° F to 32°C/90° F.
1Are any other languages spoken on board aside from English and Spanish? No, both languages are spoken due to standard. German, Italian, Portuguese, Japanese or Russian is available prior request and extra charge. 2Are there any outlets available for charging phones on the train? Yes, plenty distributed all across the train. 3What kind of beverages will be served on the train, in between meals? Any snacks? Soft/Non alcoholic beverages are unlimited and free of charge on board (hot or ice coffee, fruit juices, iced tea, coke, diet/zero coke, water, mineral water, infusions among others. We serve one AM snack and one PM snack. Snacks are based on local gastronomy. 4Is there any First Aid/medicine available on the train? How do you deal with clients who have problems with high altitudes? Are any of the staff members certified in CPR/ able to provide medical assistance? Yes, there are two complete medic kits on board. Crew has first aid (including basic CPR) training every year, however they are not certified. They are capable to supply medical assistance while travelling. We do not supply or recommend any kind of medicine/drug on board due to allergies and train rules. 5Where is luggage stored on the train? Is there a luggage restriction per person? Are there any safes/lockers for valuable items to be stored on the train for when customers go on excursions? - Luggage is taken on the buses while travelling. Lockers are small and designed to store small carry-ons, however valuables are recommended to be taken with guests all the time since the train is cleaned on every station and at the end of the day. 6Does the same guide stay with you for the duration of the trip or is there a local guide at each station? What is the procedure for tipping guides? Yes they are available during the whole trip. 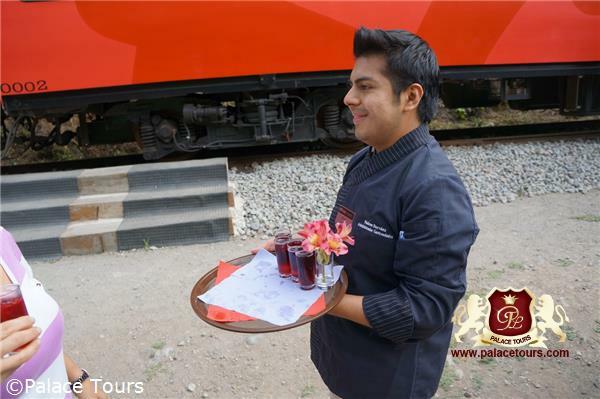 Native guides are part of certain activities, however the train guides always accompany guests. Tipping is included on the program price. 7Is internet available on haciendas? What is the best way for clients to check emails/surf the web? Yes. We recommend guests to use their own portable device or cell phone with wifi capacity. Ecuador uses 110. 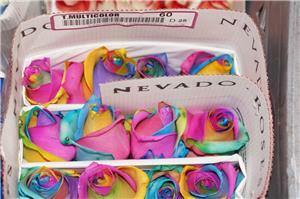 Adapters are not common on Haciendas/hotels, we recommend guests to bring their own. 9Can the customer make special requests for meals? Is there extra charge? What kind of dietary needs/restrictions can be accommodated? Yes, we can handle vegetarians, gluten or lactose free diets at no extra charge. Special request for Asian passengers is not available. 10How are the passengers transported to haciendas? Will there be multiple buses for each group or will the same bus stop at each hacienda? We used modern and A/C coaches during the itinerary. Guests will share buses. As we used one or two hotels in the area, most of the time we use 2 coaches of 30 to 45 seats and separate guests by hotels. However this is not warranted and we might do several bus stops to collect guests in different hotels. This will not exceed 2 stops. 11How much tip is advised for a client that takes the entire trip? How much tip is advised for clients who take a partial trip? How much is advised to tip when they go for lunch/dinner or for their night stay? In the Haciendas, is there an attendant? Tipping is included on the program price. 10% is suggested for lunch dinner (main course can be calculated on a US $20 to US $45 per person). Haciendas/hotels do have attendants all the time. 12Are there any entrance fees for national parks or any other fees for cameras or any of the monuments? Entrance fees are included in the price. In case of professional cameras (reporters or filming purposes) an authorization/fee must be paid in advance (before arrival) to the National Tourism Agency. We must receive a notification while booking. 13Is there laundry service? Is dry cleaning available? What is the price range/turn-around time? Yes, on every hacienda/hotel. 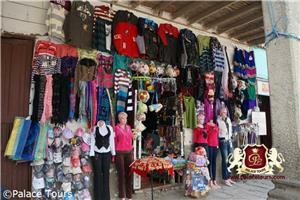 Price range from US $4 to US $10 per pound/piece of clothing. It is not pricey. 14How can currency be exchanged? Are there ATMs available anywhere (hotels, train stations, etc)? 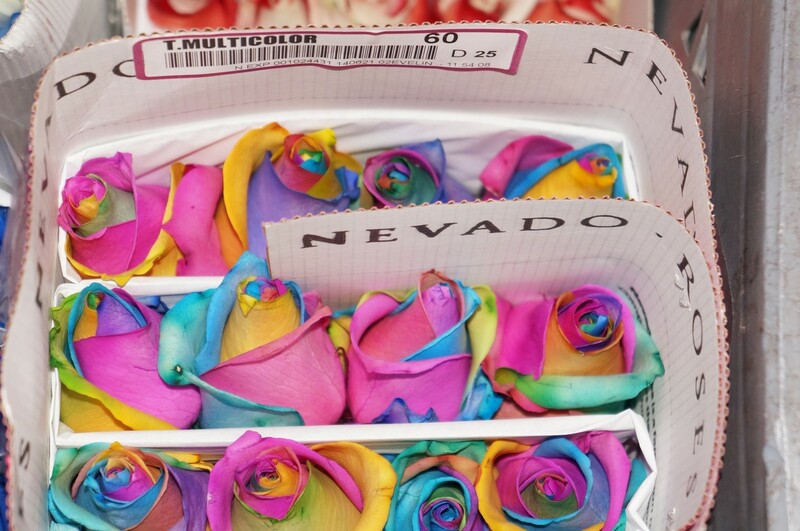 Ecuador national currency is US Dollar. ATMs are available only at Ambato and Riobamba cities. We make a short stop at Alausi train station (before of after the Devil`s nose) in case guests require an extra ATM machine. 15What kind of food is served for lunch at the different locations?What kind of food is served for dinner at the different locations? Are there a lot of vegetarian options besides fruits/vegetables? Local and/or international food both for lunch and dinner. Menu is designed to avoid repetitive dishes. 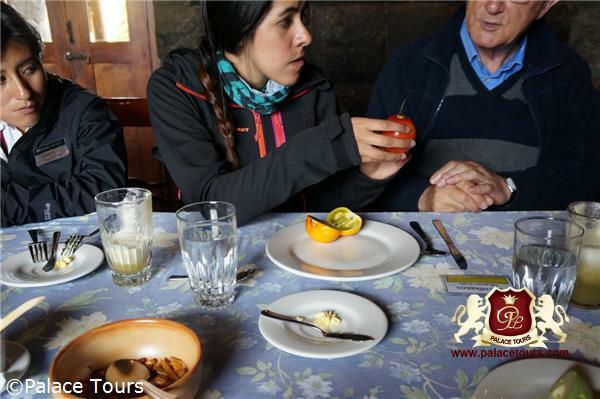 Ecuadorian gastronomy offers an excellent variety of options for vegetarians including quinoa and other grains (specially maize). 16What is the weather like? Please explain by seasons temperature ranges (Fahrenheit/Celsius) as well as climate. 17What is the recommended attire on the train? What is the clothing recommendation for hiking/trekking/etc.? What is the dress code for dinners? Casual attire is recommended for the train and dinner. Good walking shoes and dress in layers is strongly suggested. 18Are visas needed, and for which nationality? Do you assist with visa applications?